Have you finished shopping for the holidays yet? Last minute gift shopping can be pretty stressful, and for some reason I always wait as long as possible to get it done. 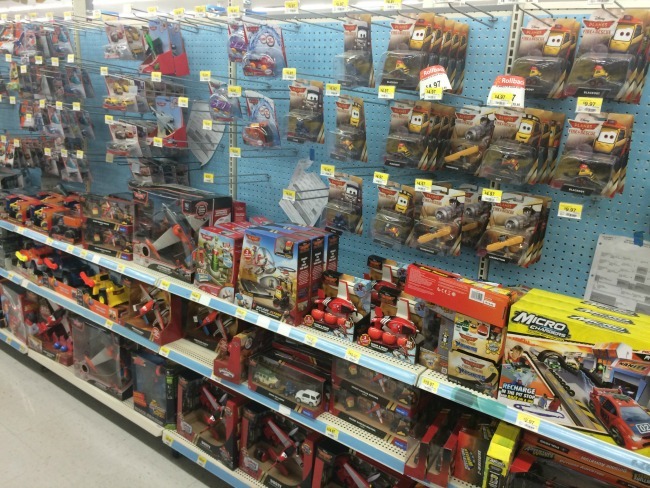 During one of my late night shopping attempts recently, I stumbled upon some great rollback deals on Disney Planes merchandise. 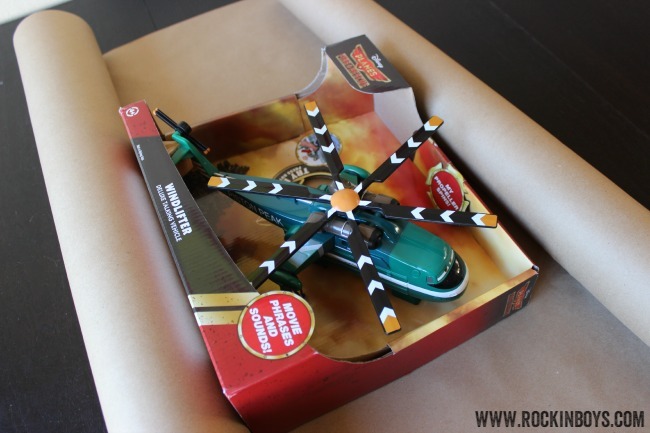 One of my boys asked for a toy helicopter, so when I saw the Deluxe Talking Windlifter toy, I knew it would be perfect for him. 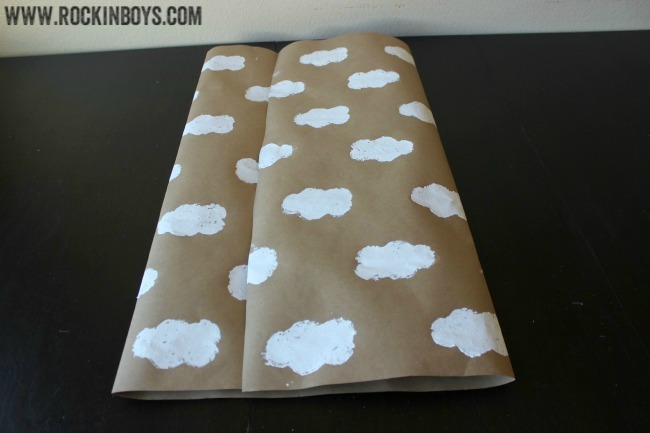 I also picked up some supplies for a fun Disney Planes-inspired wrapping paper. 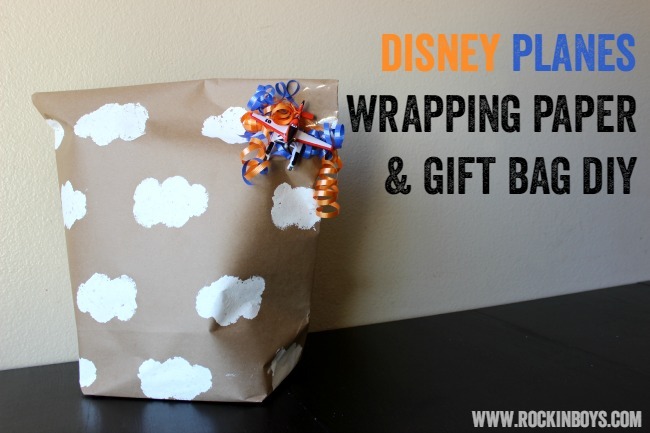 It’s so easy to do and really makes the gift extra special. 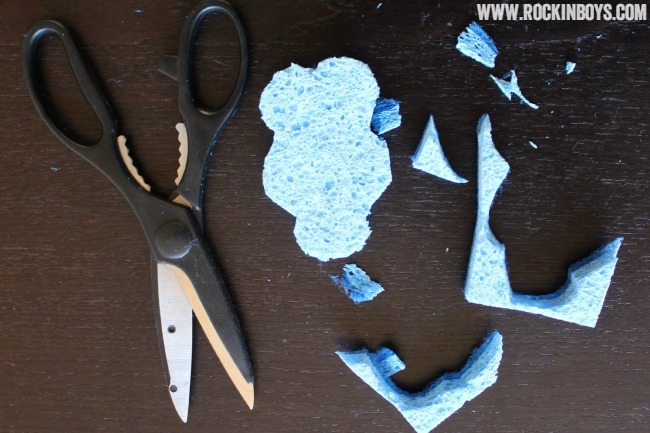 Start by cutting your sponge into a cloud shape. Don’t worry if it doesn’t look perfect. 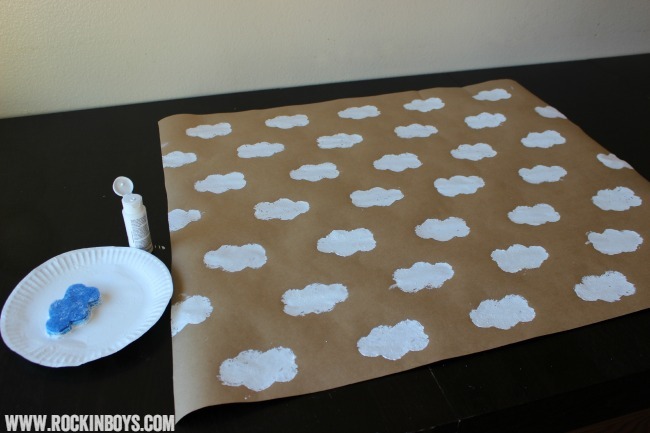 Clouds aren’t perfect! 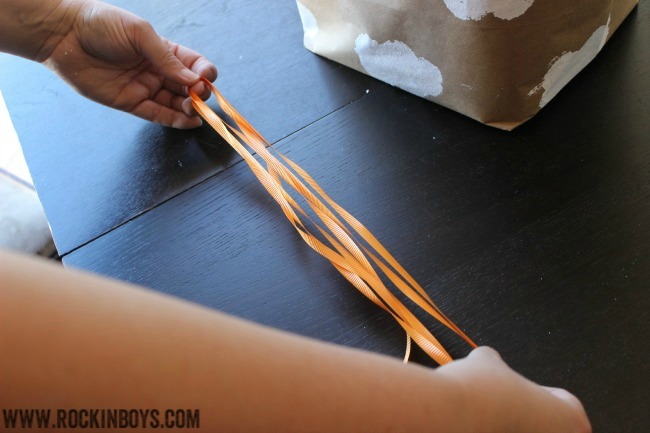 Measure and cut enough kraft paper to wrap around your toy, with a little to spare. 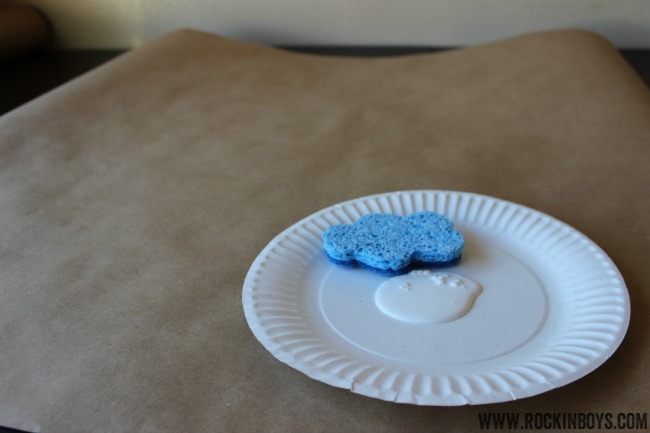 Pour some paint onto a paper plate and start stamping. Space out your clouds however you want. Once again, it doesn’t have to be perfect. 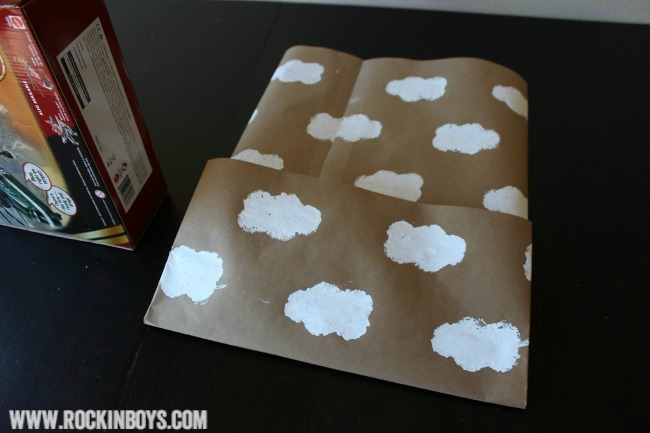 Just fill your paper with puffy white clouds. 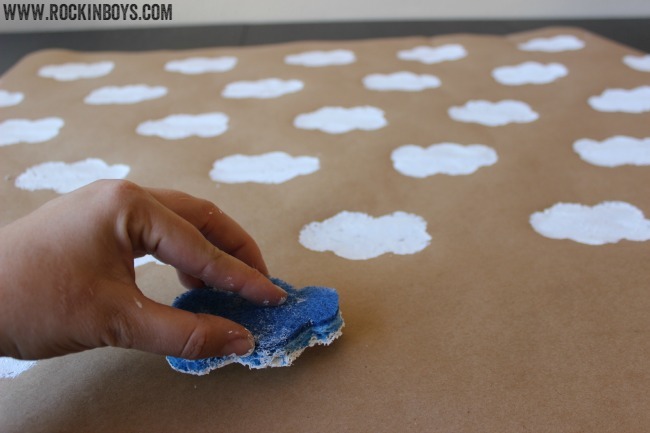 Once you’re done stamping, let it dry for about an hour. Now it’s time to wrap your present! If you have a nice even box, you can just wrap it up nicely. 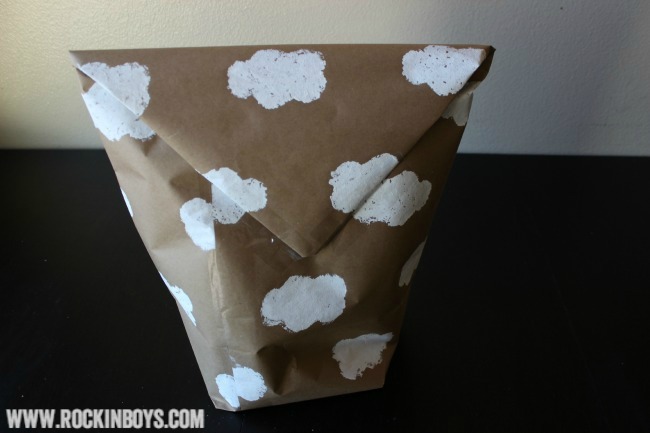 If you have a box that is open on one side or very uneven, you can make a really cute gift bag out of your paper. 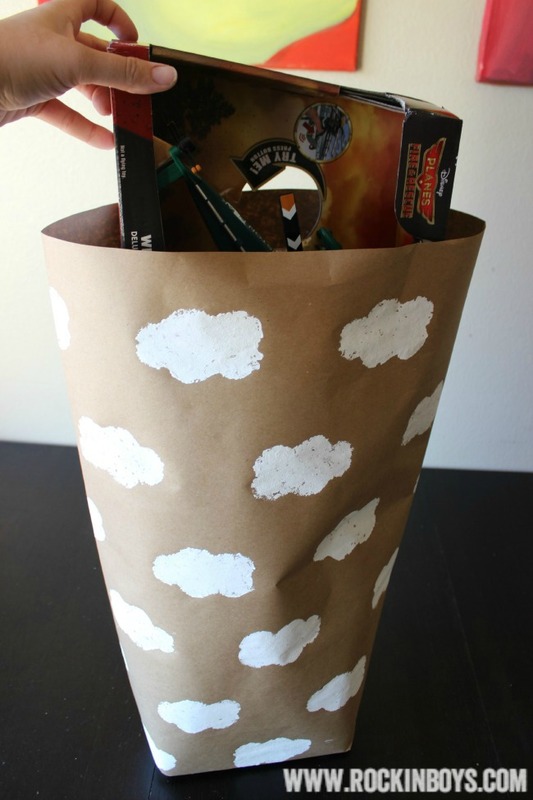 I was watching a segment about hassle-free wrapping on the show Meredith and loved the DIY gift bag. It’s so easy to do, and you can dress it up with ribbons and bows and other fun things. 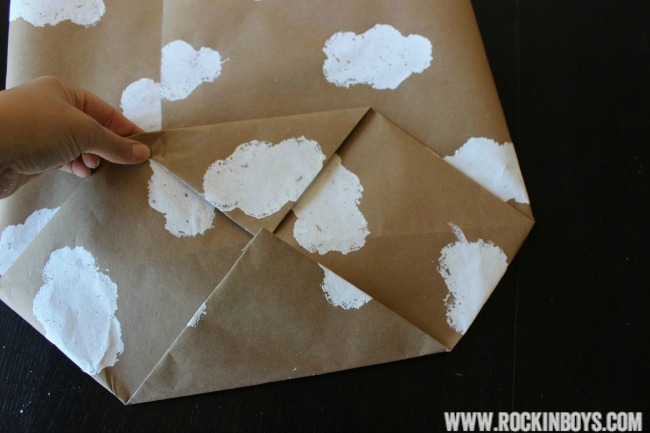 Start by folding each side of your paper into the middle, overlapping a little bit. Tape it down. I used packing tape in a dispenser because it’s super easy to tape the whole length in one go. Using your toy for reference, fold the bottom up to make the base. 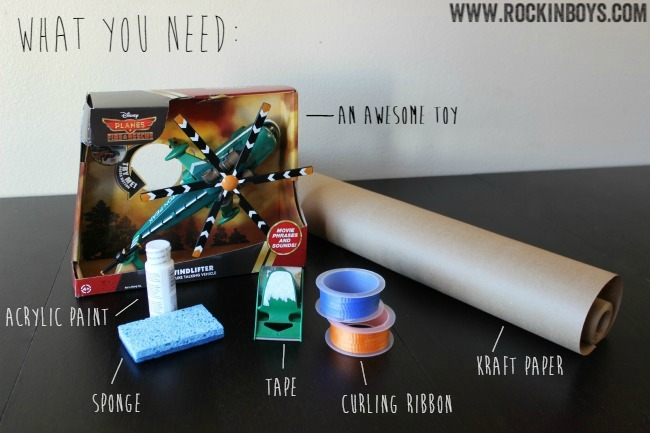 You’ll want it to be slightly bigger than the width of the toy you’re wrapping. Keeping the fold you just made, bring the two outside edges in to make a diamond shape. 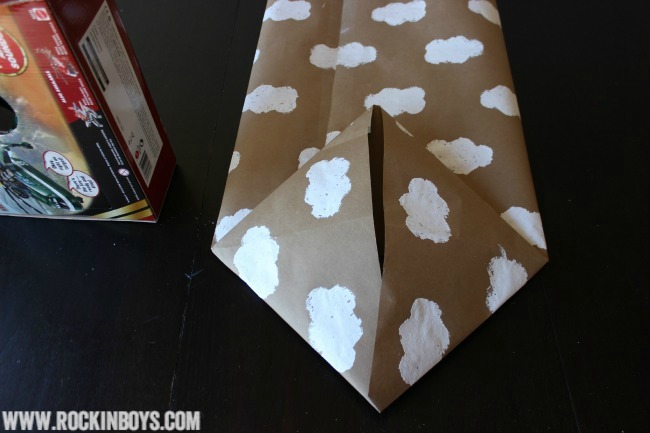 Now fold your top and bottom corners in to the middle. Tape it down really well. This is the base of your bag. Open up your bag and put your toy inside! I did a triangle fold and taped it closed on the back side. 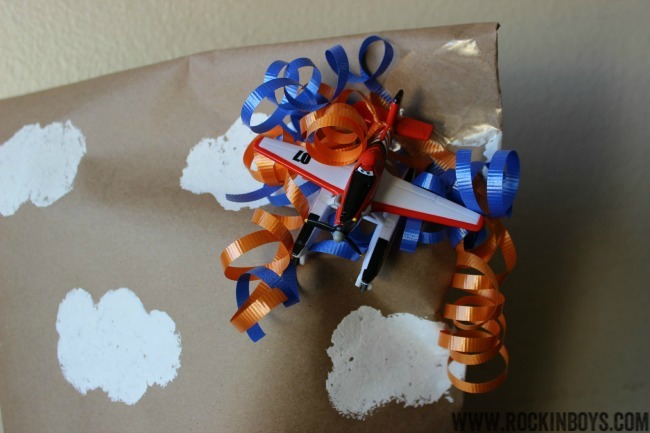 To make a fun decoration for your gift, grab your curling ribbon and measure out a few long strands of each color. Tape the ribbon to your bag, or box if you wrapped it normally. I then tied a little die-cast Dusty to the ribbon. He was one the many die-cast characters that were on rollback for $4.97. They would make great stocking stuffers, but I really love the way it adds something special to the gift. Last of all, curl your ribbon. You’re done! I love how it looks like Dusty is soaring through the clouds. One boy is going to be very happy to see this under the tree in a few days. 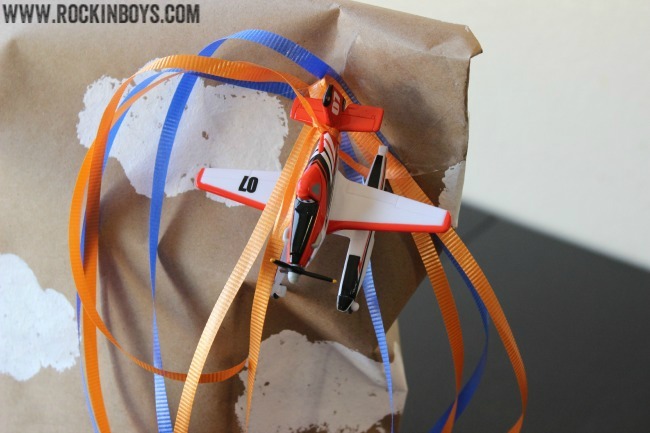 If you need a last-minute gift, head to toy aisle at Walmart and grab one of these great deals on Disney Planes toys and make your own Disney Planes-inspired wrapper paper gift bag!